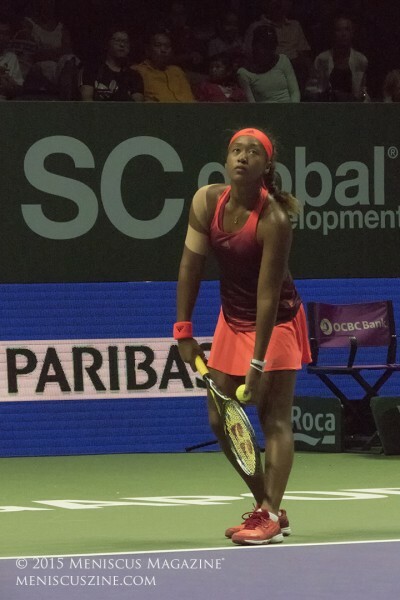 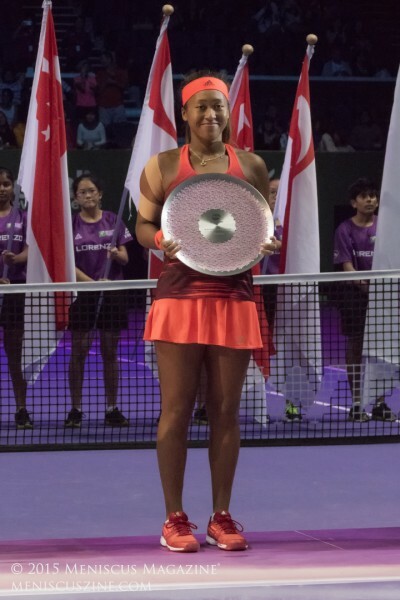 If the WTA Tour was hurting for a humorous sound bite machine to replace the retired Li Na, it needn’t look any further than 18-year-old Naomi Osaka of Japan. 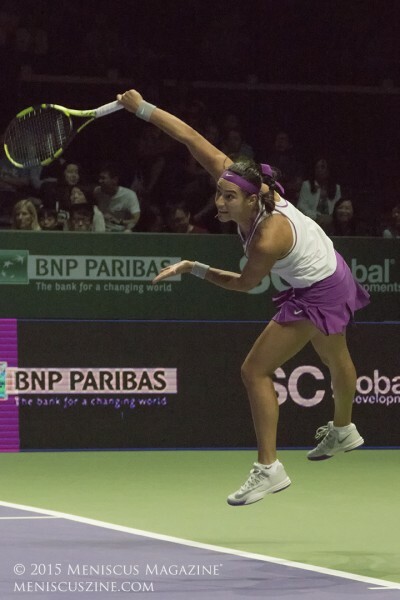 When the teenager was told, after her victory in the 2015 WTA Rising Stars Invitational final, that she saved four match points against Caroline Garcia, she not only reacted in disbelief, but she expressed equal astonishment about her mere presence at the tournament. 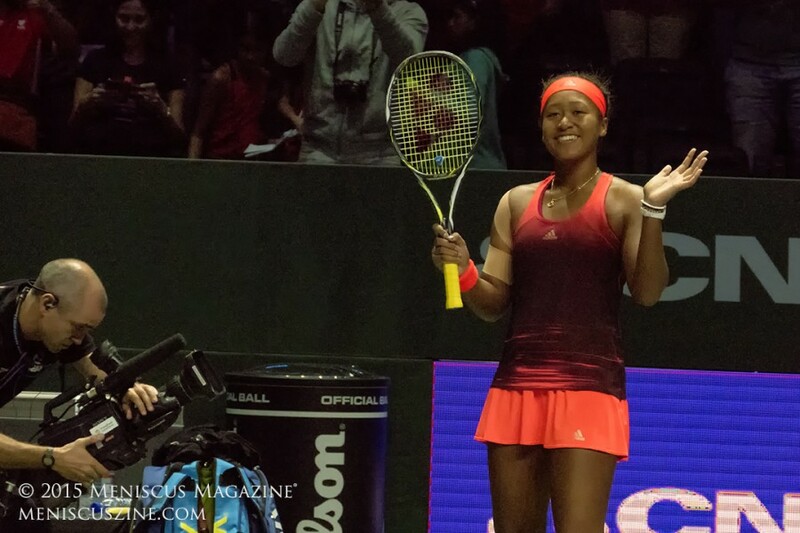 “It’s really special because it’s like a tournament for the top people, and being here makes me feel like a top person even though I’m not really,” Osaka said on court to much laughter after her 3-5, 5-4 (6), 4-1 victory over Garcia, who has been ranked as high as No. 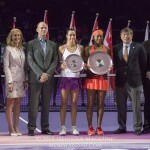 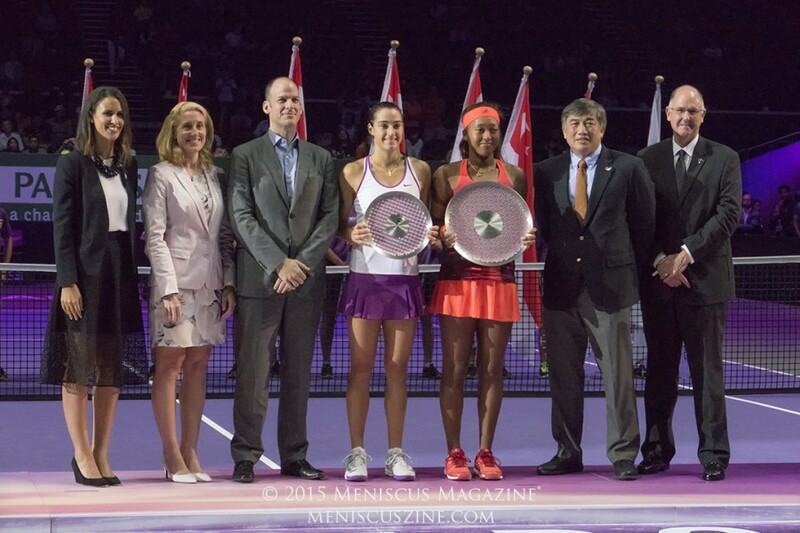 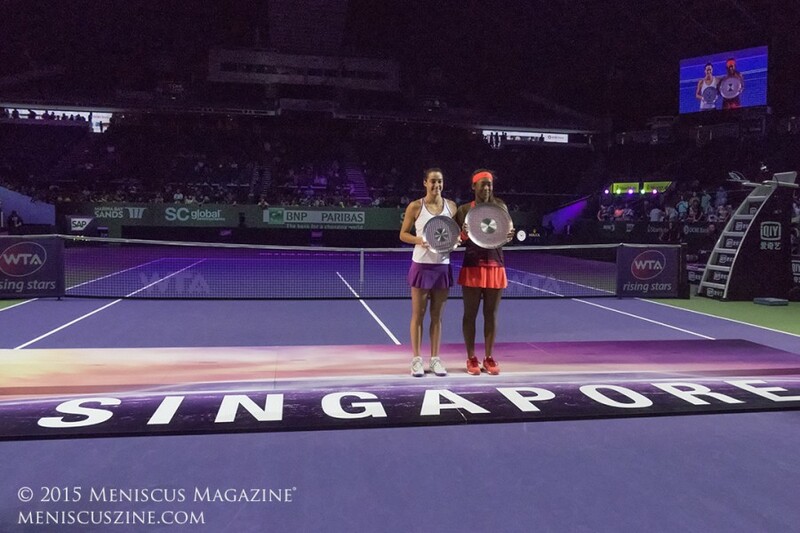 25 in the singles and was already in the WTA Finals doubles event with partner Katarina Srebotnik. 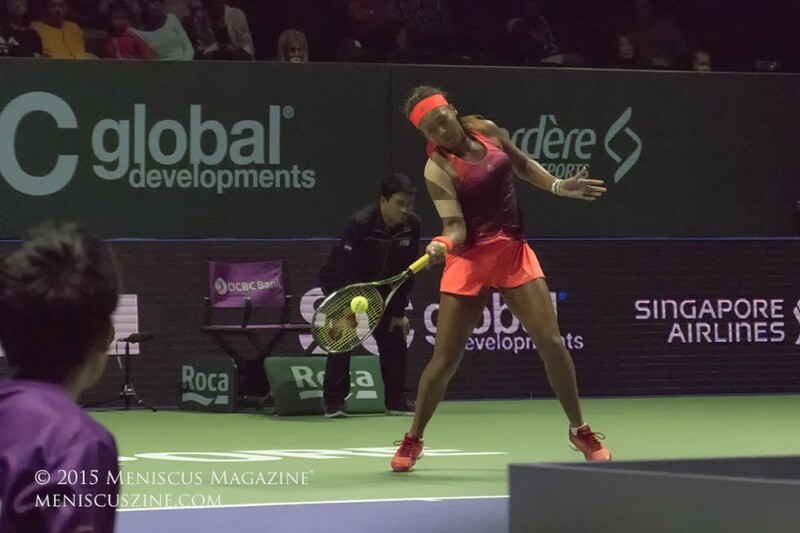 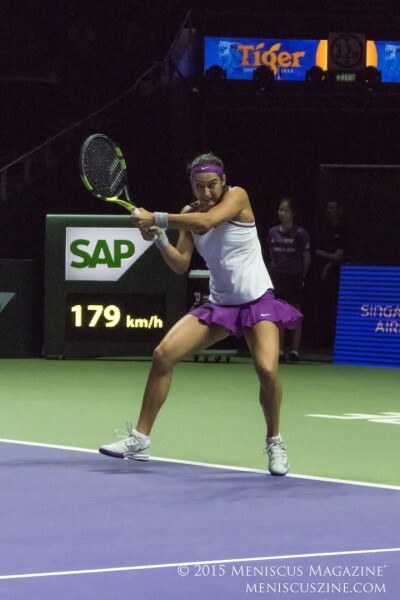 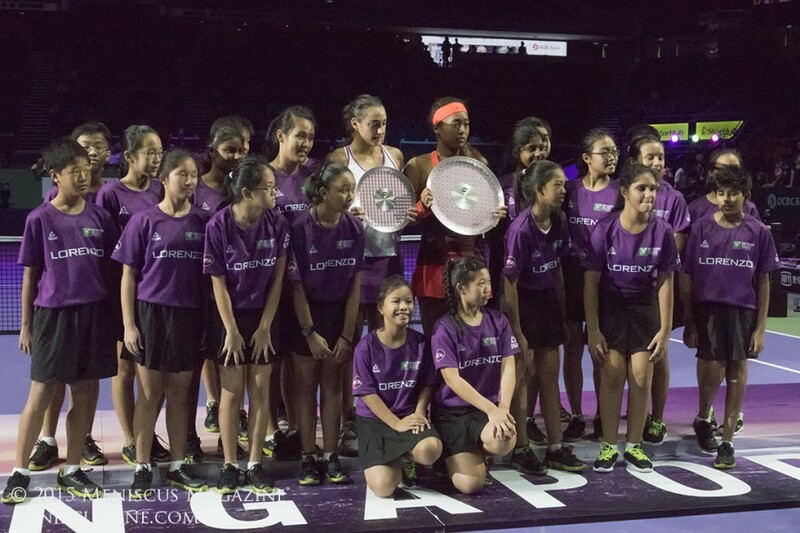 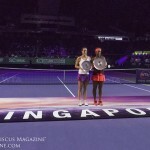 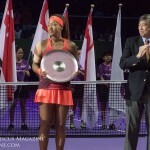 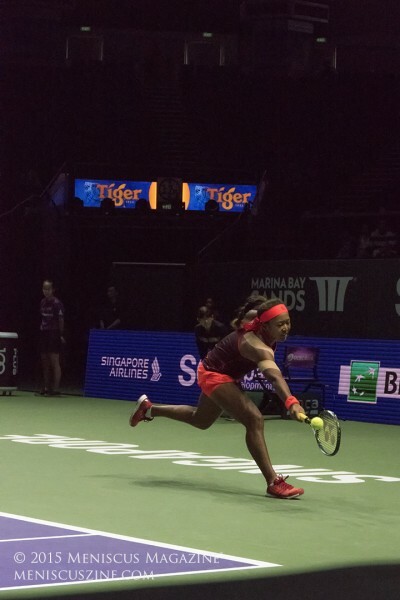 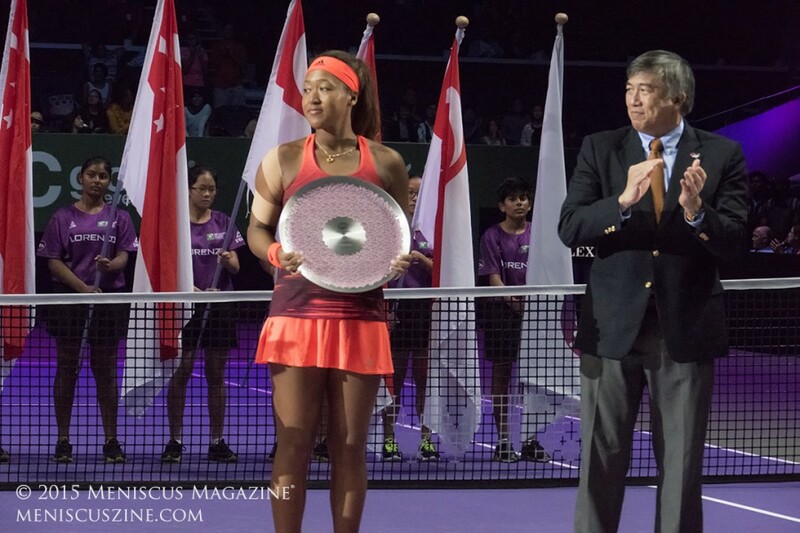 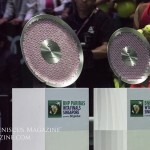 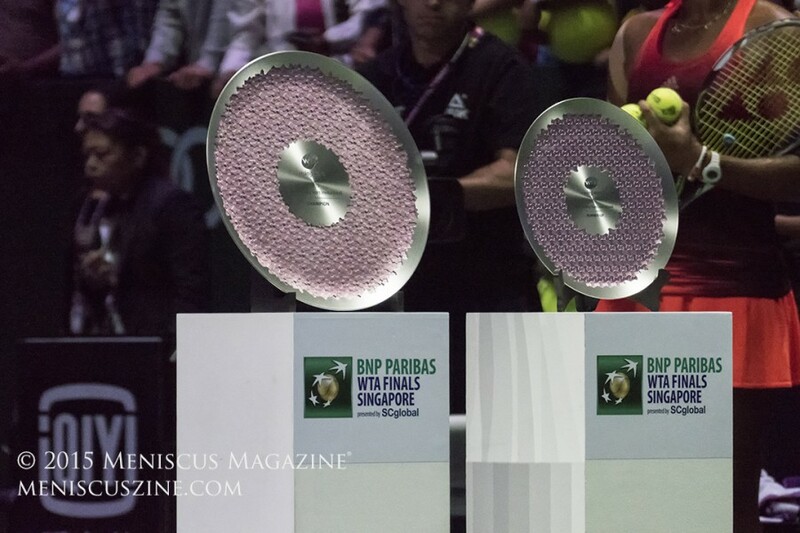 The four-woman exhibition at the Singapore Indoor Stadium, part of 10 days of festivities culminating in the WTA Finals, also featured Ons Jabeur of Tunisia and Lin Zhu of China. 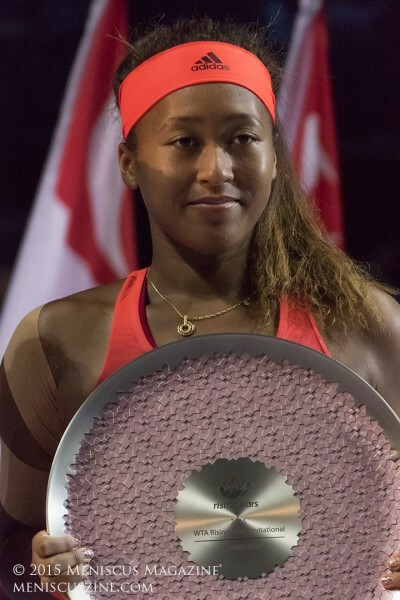 Osaka won just one of her three matches in round robin play prior to the final, but because Jabeur and Zhu also carried identical 1-3 match records, Osaka eked into the championship on the basis of winning more sets and games. 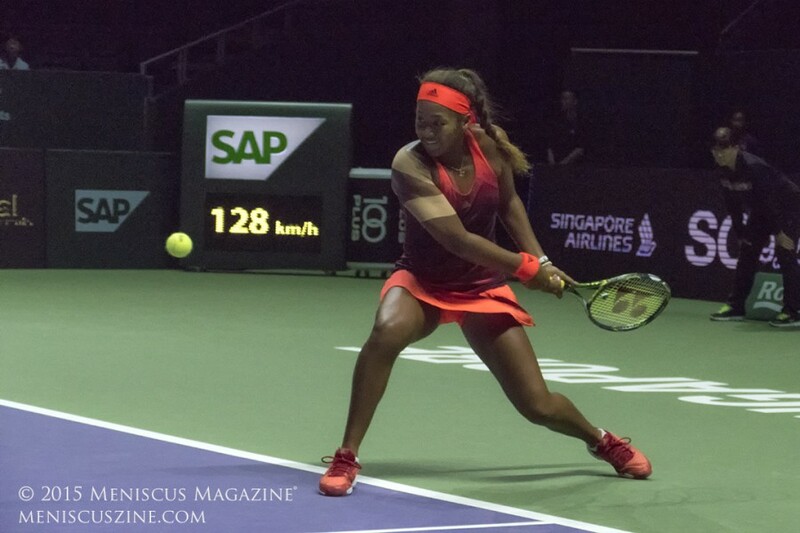 “I’m more surprised that I got into the finals than that I won, because I really didn’t do that well,” the 5’11” right-hander whose highest world singles ranking prior to the event was No. 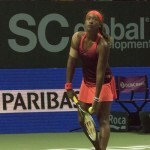 156. 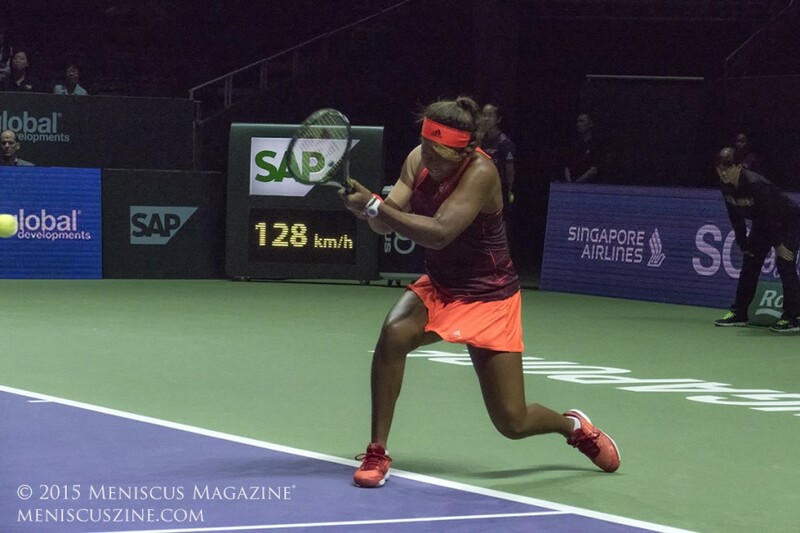 One, however, would not have guessed that such a difference in ranking points separated Osaka from the 22-year-old Garcia based on her play in the final. 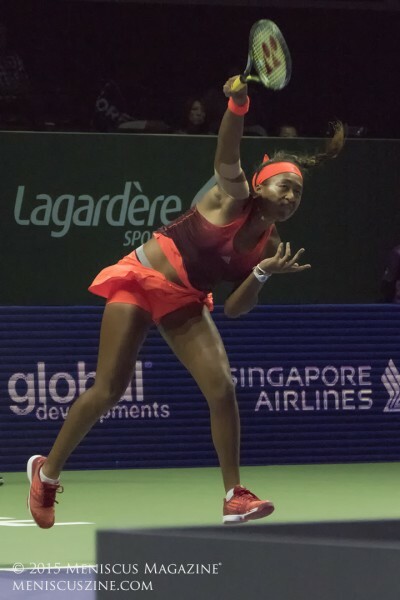 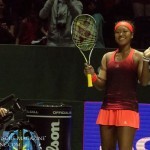 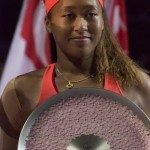 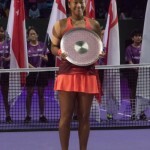 Osaka stormed back to win the second set, largely on the strength of her serve – and also because of motivation due to lingering memories of her defeat to the Frenchwoman earlier in the event.